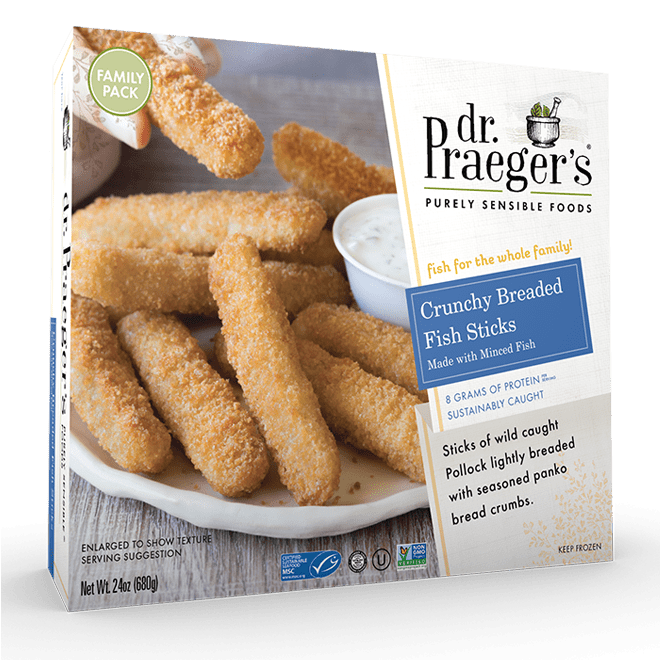 Sticks of wild caught Pollock lightly breaded with seasoned panko bread crumbs. Preheat oven / toaster oven to bake at 450°F. Place fish sticks on an ungreased baking pan. Bake approximately 9 minutes until browned. Carefully flip and bake an additional 7 minutes, until heated through and well browned.